Magazines and TV talk shows exhort us to live in the moment, and gardening is a way to encourage that practice — to stop and smell the Roses. But Gardening is also very much about anticipation, eagerly looking ahead to the first ripe Tomato or the blooming of a favorite Perennial. 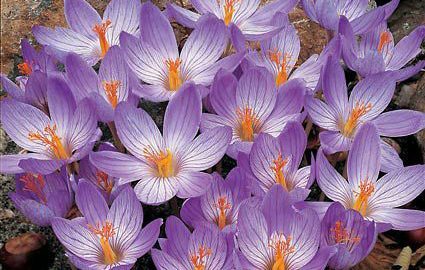 We find it’s easy to extend that sense of anticipation far beyond the summer growing season with Fall-blooming bulbs such as Crocus, Colchicums, Sternbergia, and Lycoris. These charmers provide a delightful way to bring the gardening year to a close. Like bulbs that flower in spring, most fall-flowering bulbs need a sunny or partly sunny site (although Lycoris radiata prefers partial shade in warm climates) and moderately fertile, well-drained soil. To improve drainage, incorporate organic matter into the soil and to boost fertility, apply bulb fertilizer on top of the ground after planting. Sternbergia often benefits from a bit of limestone worked into the soil. Plant fall-flowering bulbs as soon as possible after you receive them because they need to establish their root systems. Plant Crocuses 2-3 in deep and 3in apart. 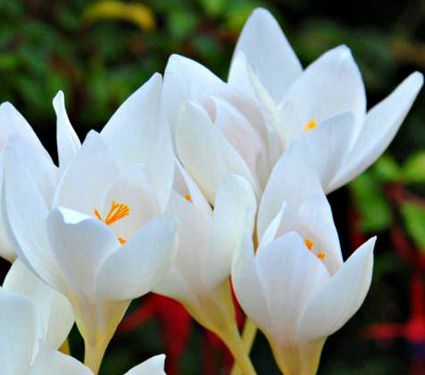 Colchicum bulbs are larger; plant them 4-6in deep and 10-12in apart. 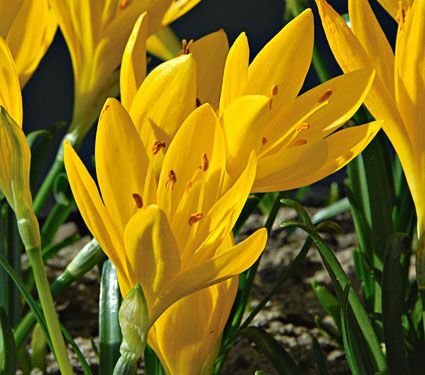 Plant Sternbergia bulbs 6in deep and 4in apart. Set the bulbs of Lycoris so that the neck sits just below the soil surface and space them 5in apart. As long as the soil is well-drained, pests and diseases are rarely a problem with these bulbs. Deer and voles do not bother them. 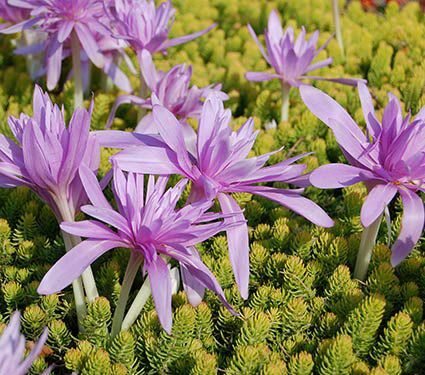 Fall-flowering Colchicums and Crocuses usually bloom about 3-6 weeks after planting. 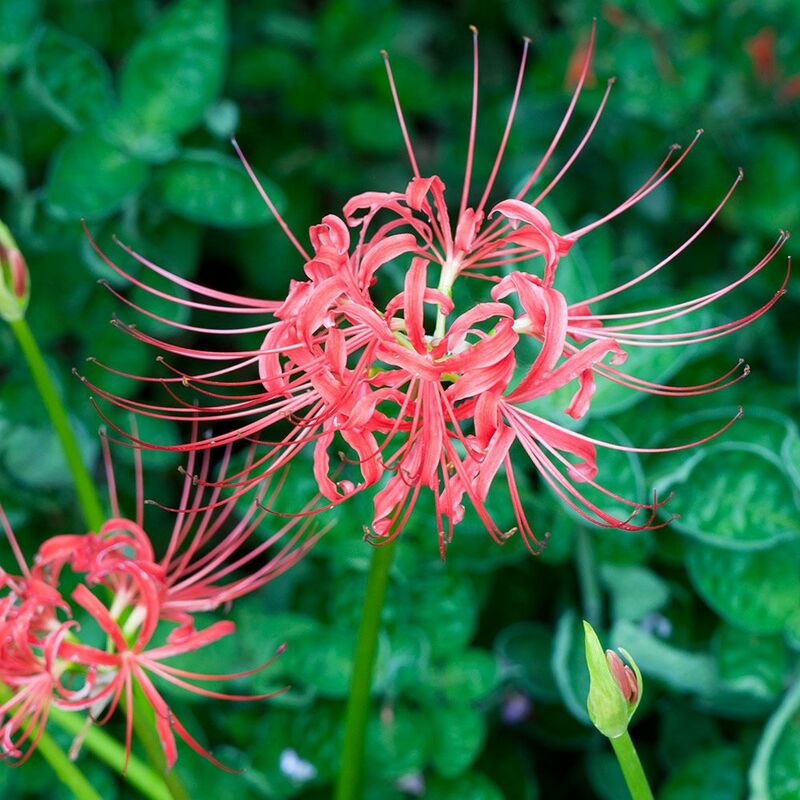 Lycoris requires more time to settle in; it may not bloom until the following year, but the wait is well worthwhile.